Did you know that women have different side effects to medicine than men? And oftentimes, research doesn’t look at the effects of drugs on women. If your health care provider recommends a medication, ask questions about the risks and benefits before accepting the prescription. Bring a list of all your medications and their doses. Include over the counter medicines and supplements, which sometimes interact with prescription drugs. Consider bringing this list to all appointments if you get prescriptions from several providers. Ask to review your medications sooner if you have side effects or common signs of drug interactions. Call your doctor if you have gastrointestinal problems, rash, fatigue or dizziness. Seek immediate medical help if you are having trouble breathing or can’t urinate even though you feel the urge. Taking medications improperly can cause unpleasant side effects that may seem like drug interactions. 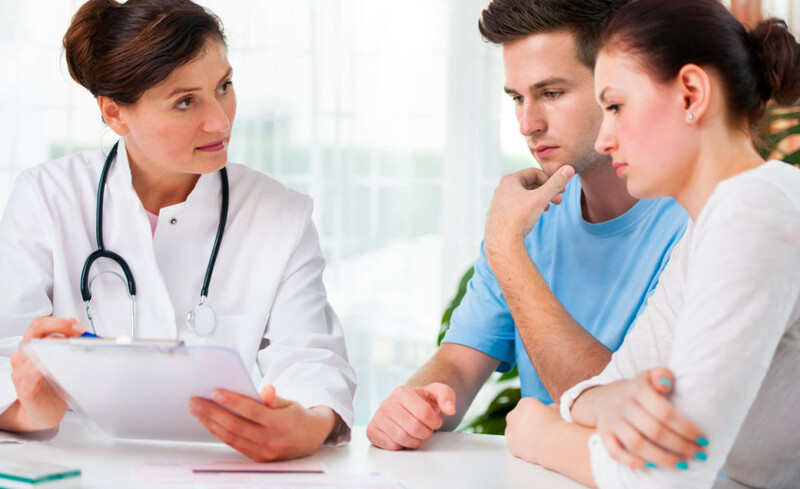 You can start a discussion with your health care provider by asking the following questions. What is the lowest effective dose I can take for this medication? Can this drug cause dependency or a rebound effect? What is the shortest amount of time I need to be on this drug, and do I have to wean myself off of it? What are the potential side effects of this medication, such as weight gain, low libido or liver or kidney problems? What if I’m planning to get pregnant or have an unplanned pregnancy while I am taking this drug? Will alcohol, supplements or herbal medicines exaggerate or block this medicine’s effect? Should I make lifestyle changes or consider alternative therapies to treat my condition? When a medicine is needed, the benefits may be obvious and can even be lifesaving. However, with every medicine comes side effects. Here are some particular side effects associated with drugs most commonly used by women. If you’re like me, having this baseline information readily available will give you a greater sense of confidence and control over your own health. Ask about weight gain, moodiness, breast tenderness, swelling, dizziness and the risk of blood clots. Smoking increases these risks. Birth control can alleviate PMS symptoms, prevent acne and reduce cramping and menstrual pain. Newer methods use “third- and fourth-generation” hormones, which can have a slightly higher risk of pulmonary embolism and deep vein thrombosis. Ask about the symptoms of these rare but life-threatening conditions. These drugs can cause drowsiness in the morning, difficulty waking up, mental impairment, headache, dizziness and nausea. There is often a rebound effect, meaning the symptoms can worsen when you stop the medicine. You may need to stop this drug in increments. Some people find it difficult to return to a normal sleep pattern. Before you start with sleep aids, ask your doctor about how much additional sleep research subjects gained on this drug. Many drugs in this category block the absorption of vitamins and calcium. Ask about the risks of anemia, issues with bone density and if vitamin supplements are needed. There is often a rebound effect, meaning the symptoms can worsen when you stop the medicine. Ask about weight gain, tremors, constipation, sweating and low libido. It’s best to work closely with a psychiatrist and include talk therapy. Clarify whether you’re likely to use the medicine only for a short time or if you’ll be expected to be on it for years. Stopping these meds can prove difficult and should be conducted under a doctor’s care. Stimulants are commonly used to address attention deficit hyperactivity disorder (ADHD). These can trigger cardiovascular issues, appetite loss, restlessness and aggression. Studies indicate that stimulant use in adolescents, whose brains are still developing, might permanently affect their prefrontal cortex and brain plasticity (ability to switch between functions).